nabz_32x, sorry, i wasn't trying to be funny with the previous post! BTW, I've just tried vice v1.2 and it still has some weird SID issues even if the gp2x is overclocked to 250MHz. Like in the game krakout (arkanoid-like), the music skips every once in a while even when the speed was 100% or higher and fps was high. I've tried both regular and fast sid options. In frodo2x neither v0.9.8 nor v0.9.9 has the skip. Also, i don't know how to press shift with vice's virtual kb. Either way, i'm not griping at all, just writing what I see in case someone has a workaround! Brilliant work! would be even better if it had save state option! I actually really love this emulator! If you like the c64.... get this now! 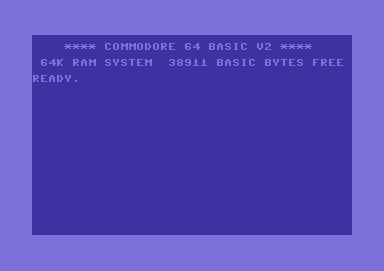 There's something quite magical about seeing the c64 emulated so well! Thank you. I have one suggestion for development, and it applies equally Amiga, ST, (one button Joystick systems.) Please have the option to use a button for up as well as the usual stick control. It will make many game instantly more playable! Thanks for your good work! Awesome work. Any chance of being able to assign keys to buttons as a lot of vic 20 games require keyboard. Also, some c64 games use space and other keys too (midnight resistance, turrican etc). Thanks for the game emulator. always for the vic-20 as the expansions of memory are alternated? 13/10/07 Fantastic. Weapon of choice for all my C64 needs. Agree with Davros, a button up in keyboard mode would be great. I have tried to contact the Vice team on numerous occasions with no success. I wanted to add support to Vice to automatically configure the joystick, load the image and run the program with no user intervention from the user so that people that have no idea how to use a C=64 can still play the games on it, having no idea what load "*",8,1 and sys 62738 means. Does anybody know how to get a response from them?